You've got to get rid of 1. Who do you dump? Whoever gets me the bigger return. Mantha is a -13 on the season. Ouch. Seriously, though, he has at least shown something during his career. There's potential that other teams will be willing to gamble on. Moose is not as polished. I don't trade either at this point. I'm getting rid of Moose. Although I'm pretty disappointed in his effort and season he's currently having, Mantha just has too much upside to throw in the towel on him right now. This may change, but this is how I look at this today.. Interesting. I see it the other way. I think we've seen Mantha's ceiling, but I think we've only seen Moose's floor. 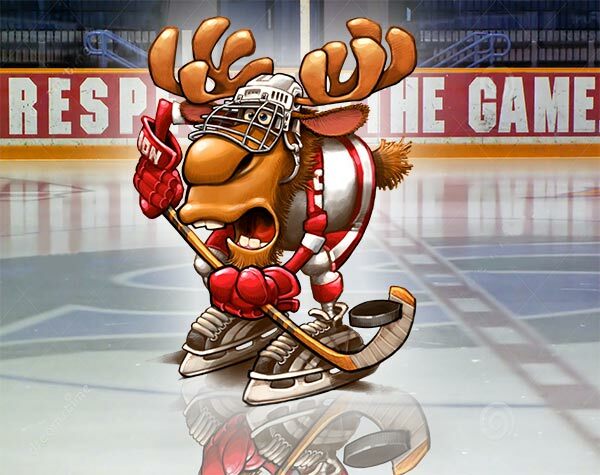 Does anyone remember the announcers on Versus calling Franzen "Moose" instead of mule? Ever since then he has been moose to me. Huh? There's nothing he has the league hasn't seen before. Yeah, I was really confused by that part too... I think he'll be a good player for us, but there are plenty of players in the league past and present that resemble what Rasmussen can bring to the table. He dines on hockey pucks. That's all about attitude and willingness, not size. Holmstrom was not a huge guy but was willing to take punishment in front of the net. Rasmussen is a big guy, however, big doesn't mean tough. Ciccarelli was a smaller player as well. You mean, the best YOU have ever seen. You obviously never watched Phil Esposito. They made bumper stickers because he was so good in front of the net.